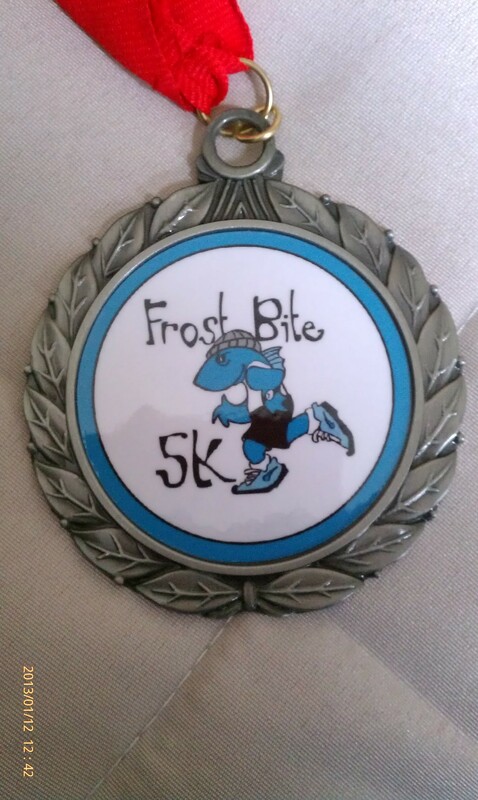 The Frostbite 5k was anything but frostbite. The temperature was more like 50 degrees and supposed to be clear but a light mist began about 10 minutes prior to the start. This threw off my vibe because I made a decision to wear glasses instead of contacts. Another thing which was different about this race was the starting point being close to the foot of Dog Hill. Who wants to start a race up a killer hill? I didn’t like the Rugby Field area because the only restrooms are the porta potties. On a positive note, it did seem more spread out and more room for parking. I had a lackadaisical interest in this particular race. I can attribute this to a couple of things. Life changing events and returning from an amazing cruise with plenty of food. I also had a big head about the strong finish on the Reindeer Romp and 1st place in my age group award. I didn’t even bother to joust my way to the starting line. I viewed this as a workout run and not a race. Horn goes off. I get to the top of Dog Hill and instead of the leaders of the pack going the direction of the golf course, they remained on Scenic Loop. I heard a man yell out “They changed the route.” It bothered me psychologically because now I am guessing where in the route will the extra distance will be added. By time I reached the detour my mind was so out of the race. This new section of the park lack familiarity. “Where is the finish line?” is what I begin to think. A couple of minor curves and light elevation and I can see the crowds. There were a couple of men ahead of me and one of the runners who completed said “You are almost there. Catch ’em!” I managed to do just that and even put on a smile for the camera man. I never miss a photo-op. I wait around for the award presentation. I was not expecting any age group awards because I felt my time was slow and I only gave about 70% effort. 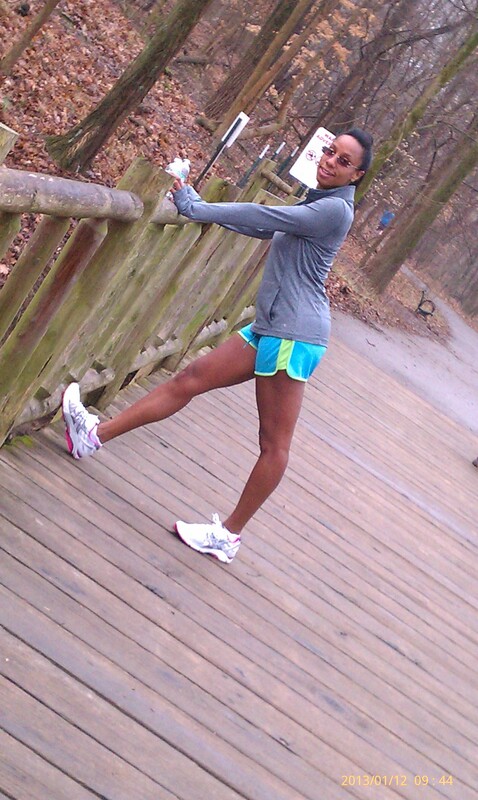 This entry was posted in running, Uncategorized and tagged 5k, Exercise, healthy-living, Running. Bookmark the permalink.